Earl Warren, who served as Governor of California and Chief Justice of the United States, often remarked that when reading a newspaper, “I always turn to the sports section first. The sports section records people's accomplishments; the front page nothing but man's failures.” ONE GOAL by Amy Bass is a wonderful story, beautifully told in the spirit of Warren’s observation. It is a book that encompasses the best of sports and why people love them, while also reminding us why sports matter. ONE GOAL is not the account of a team fighting for a world championship before adoring crowds of fans. Rather, it is the story of the Lewiston Blue Devils, a high school soccer team in Lewiston, Maine. 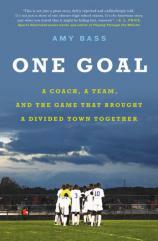 The book begins with the team falling short of its quest to win its first state soccer championship. In 2014, Lewiston had lost the championship game to another Cinderella school, Cheverus High School, which had entered the tournament as the seventh seed. Cheverus prevailed, despite Lewiston being the number one seed. It was not the first time that Lewiston had reached the state final, but they had yet to bring home a championship trophy. 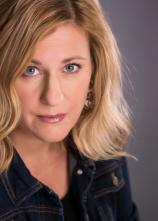 "Amy Bass tells an endearing and inspirational story.... It is an important reminder that community strength, will and spirit can overcome fear and bigotry." By now, you might be wondering why the exploits and efforts of a Maine high school soccer team are worthy of a book. The answer is that the narrative is far more than the goal of one school to win a state championship. The story is in the community, the players and the coach, focusing on issues that are discussed daily in newspapers and news broadcasts across America. It tells us what happens when America works the way our founding fathers intended, when a community that opens its doors to immigrants from around the world experiences the harvest that comes from overcoming fear, xenophobia and racism. Lewiston, Maine, is perhaps best known for being the location of the second heavyweight championship fight between Sonny Liston and Muhammad Ali. In that fight, held in May 1965, Ali, then known as Cassius Clay, scored a first-round knockout. Whether the fight was legitimate is still debated. It was abruptly moved to Lewiston after Massachusetts authorities pulled out of promoting the event. Lewiston was a thriving mill town when the fight occurred, but by 2001, many of the residents of the community were living at or below the poverty line. Amy Bass tells an endearing and inspirational story. As the season progresses, the team and the community come together. Across America, in many small towns, high school sports still serve as a unifying force. On the pages of ONE GOAL, that story becomes an inspiration. It is an important reminder that community strength, will and spirit can overcome fear and bigotry.